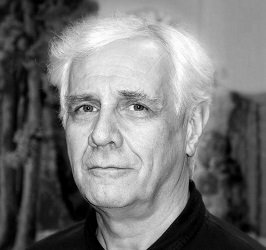 John has the great ability of being able to produce ‘build-from’ mechanical and fabrication designs, alongside highly artistic and aesthetically appealing large-scale staging concepts. This has ensured a high demand for his skills during a 20 years+ career. Perhaps unsurprisingly, given his ability to balance the creative and practical, John initially qualified as a chartered Architect, followed by an MSc degree in Computing and Design. Despite a brief foray into architectural practice, working on early ideas for a new Traverse Theatre venue in Edinburgh and then as a sound technician, he found a niche delivering advanced technical design solutions for high-profile music, theatrical and corporate events and tours all over the world. During his time at the industry-leading Brilliant Stages, Tomcat and Lite Structures, his extensive list of 50+ high-profile clients included: Take That to Lady Gaga tours, Thomas The Tank Engine to Cirque du Soleil and Disney to the Olympics. Whilst not at his desk John now likes to spend time in his workshop building & repairing anything from furniture to cameras.